Glitch is another of these peculiar musical genres that I discovered not so long ago while browsing in search of something else. From a lo-fi aesthetic of weird noises generated by voluntarily malfunctioning machines, glitch has evolved into a genre in itself. This isn't really "glitch" as it was when it emerged anymore, but neo-glitch, or post-glitch, something like that, a weird bouncy midtempo music with... something funny in the air about it. Glitch is fun, a little bizarre to the ear at first. But then you want more. It is a music that does not claim anything, it is louche as hell, even though a netlabel whose name I won't cite is trying to make glitch the new ultra-hype music genre. 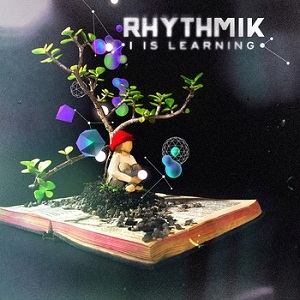 Nothing of that sort in "I Is Learning" from Rhythmik, as you will hear. If you're curious about it, listen to track number 5 to hear a typical glitch song.